We believe that it’s urgent to deliver effective medical solutions to families and make it accessible to any household worldwide. We have unassailable passion and ethics in transforming the approach in relieving common skin diseases. Indeed millions of individuals and families who receive the results of tests ordered by physicians and other medical professionals to determine their state of health after seeing and experiencing unusual signs and symptoms are subjected into feelings of anxiety and depression. Multiple, expensive medical treatments and uncertain recovery period have likely played a major role in the process. This concept empowers our people to be engaged, inspired and challenged to bring about some positive changes in Healthcare. 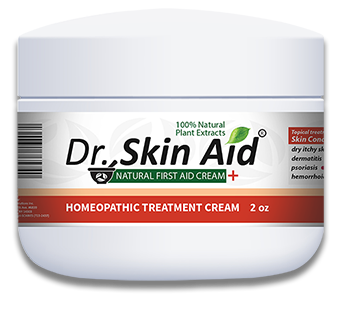 To carry out the goal of innovation, we have developed Dr. SkinAid® Natural First Aid Cream. Our aim is to SIMPLIFY the existing relief regimen for some skin diseases and conditions. 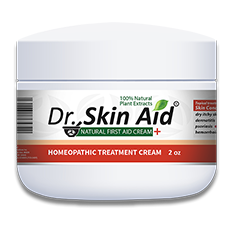 Dr. SkinAid® Natural First Aid Cream is a naturally formulated first aid cream derived from varying potencies of silver, bioactive components and botanicals that may help with the effects of Anti-Fungal, Anti-Parasitic, Antibacterial, Anti-viral and Anti-Inflammatory actions which affect and cause physiologic effects to the body in order to ease skin related issues. Note: While Dr. SkinAid® is regarded to produce fast-acting results, chronic and severe conditions may take longer time to respond to the aiding effect depending on the extent or type of the skin ailment. Argentum Metallicum 30X, 20X and 10X |This group of ingredients work together in the form of a strong anti-infective agent that help soothe a host of skin ailments. Allantoin | This ingredient is recommended to help prevent scaly or rough skin or help soothe dry and itchy skin that occurs either naturally or from conditions such as diaper rash or burns. Ceramide 2 | Ceramides are a major component in the skin and protect it against moisture loss. Ceramide 2 is often used in skincare products for more youthful skin that is free from flaking or itching. Emu Oil | Derived from the adipose tissue from certain species of emu, emu oil is a transdermal carrier that is sometimes recommended for the aid in skin conditions such as eczema, rashes, or acne. Euphorbia Cerifera (Candelilla) Wax | Extracted from the wax coated stems of Candelila shrubs, this ingredient is hailed for its skin moisturizing properties. Helianthus Annuus (Sunflower) Seed Oil v |This ingredient contains Vitamin E that traps moisture inside skin cells and keeps it hydrated for longer. It mimics the fat or lipid that skin is composed of and is essential for the prevention of moisture. In addition, the ingredient also prevents skin damage while helping it retain its natural shape, enhances its emulsifying properties, and minimizes swelling or dryness. Lactobacillus Ferment | Lactobacillus is a type of “friendly” bacteria that is used as a skin conditioning agent for skin diseases such as dermatitis. Lactobacillus Ferment is fermentation of Lactobacillus. The bacteria are effective against restricting the growth of micro organisms. Melaleuca Alternifolia (Tea tree) Leaf Oil | Due to its antiseptic properties, tea tree oil is often recommended as a natural relief for cuts, acne, burns, herpes, rashes and other skin ailments. Olea Europaea (Olive) Fruit Oil | Olive oil works as an antioxidant, complements all skin types and valued as a natural skincare relief . It promotes the skin elasticity and is good for people who have aging, sensitive or dry skin. Ricinus Communis (Castor) Seed Oil | Extracted from the flowering plant Ricinus Communis, castor seed oil can be applied to the skin as a natural relief for inflammatory skin disorders such as boils, carbuncles and abscesses to name a few. Squalane | A light emollient extracted from olives or wheat germ, Squalane’s hydrogentation makes it suitable as a natural ingredient for skin treatments. The skin readily absorbs it due to squalane’s similarity to sebum. Tocopheryl Acetate (Vitamin E) | The natural skin conditioning agent and antioxidant is also a form of Vitamin E. It protects the skin’s lipid balance, protects it from free radicals and facilitates the skin treatment process. Tocopheryl Acetate is attributed as a moisturizer and an anti-inflammatory agent. Do NOT use Dr. SkinAid® if you are allergic to any of the ingredients in Dr. SkinAid®. Keep the product out of reach of children. Please note, this product is meant for external use only. 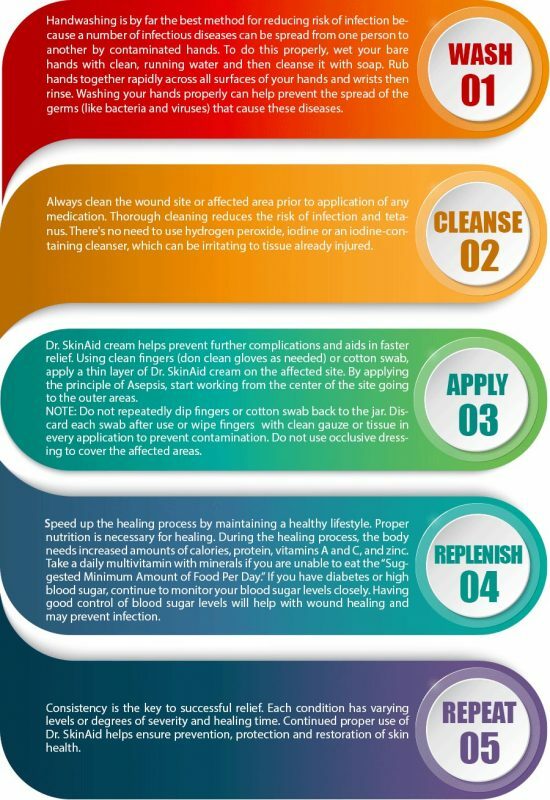 Do not use the cream on open wounds or abrasions or bandage the affected area tightly after application. Consult a physician if symptoms persist or if the product is ingested. Pregnant and breastfeeding women are advised to consult a doctor before they apply the cream. Avoid contact with the eyes.